Dustin Tankersley, certified master racquet technician and official stringer at Southlake Tennis Center, has been selected to join the Wilson Professional Stringing Team at this year's US Open Tennis Championship August 27-September 9 in New York City. This is the fourth consecutive US Open Tankersley has attended as part of the Wilson Professional Stringing Team. 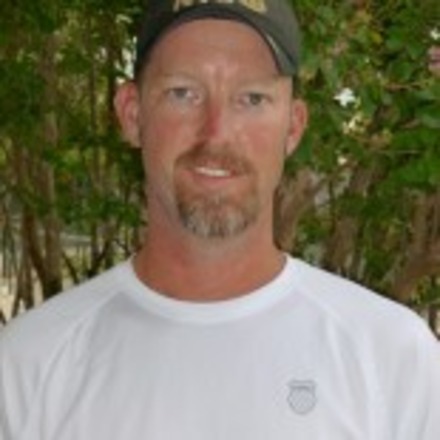 A member of the United States Racquet Stringers Association, Tankersley has been a professional racquet stringer for 16 years and has worked around the country, including the Citi Open in Washington, D.C., the Winston-Salem Open in North Carolina, and the Sony Ericsson Open in Miami. "It is a huge honor to be invited back to these tournaments each year and it requires me to keep my stringing skills at peak performance," he says, noting the standard turnaround time is 18 minutes at the US Open. "And of course, it's always a thrill to meet the best players in the world." Tankersley joined Southlake Tennis Center in 2011 and specializes in racquet and string selection lessons for players who want expert advice. In addition, he is a certified tennis instructor and has coached nationally ranked juniors. Prior to joining Southlake Tennis Center, Tankersley taught at several facilities in Dallas Fort Worth including Rivercrest Country Club, T Bar M Racquet Club and Richland Tennis Center. Visit Southlake Tennis Center for more information or call 817-421-5605. Southlake Tennis Center, which opened in 1999, is located within Bicentennial Park in Southlake, Texas. Owned by the City of Southlake, Southlake Tennis Center is one of the largest public tennis facilities in the metroplex. With 19 lighted hard courts and 8 certified tennis professionals, STC is one of the largest public tennis facility in the metroplex. Open seven days a week, STC maintains a full schedule year-round with adult league play, a junior program, private and group lessons, and tournaments.